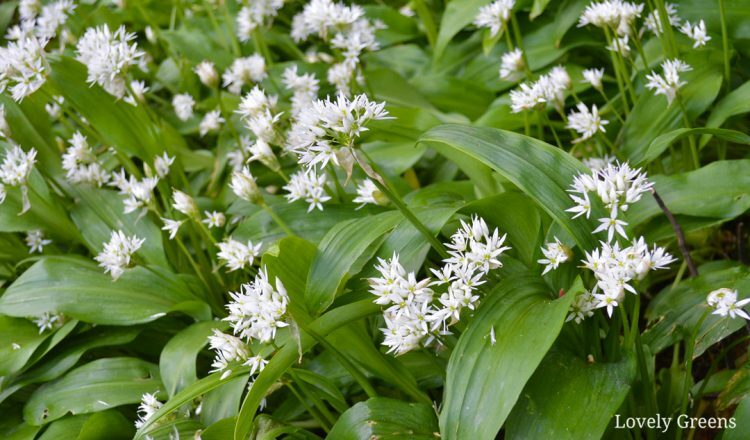 How to find, pick, and use Wild Garlic in fresh spring dishes. This delicious wild edible is a must-have for any wild food forager. It’s late May and getting towards the tail end of wild garlic season. Each year this leafy green herb faithfully emerges from the forest floor, filling the entire area with a soft garlicky scent. Very much else is growing in the garden in early April so those in the know head out to glens and bogs to find it. For the next eight weeks you can fill your foraging basket with tender edible leaves that are excellent in all manner of savory dishes. They’re so prolific that in many areas there isn’t a fear of over-picking them either. 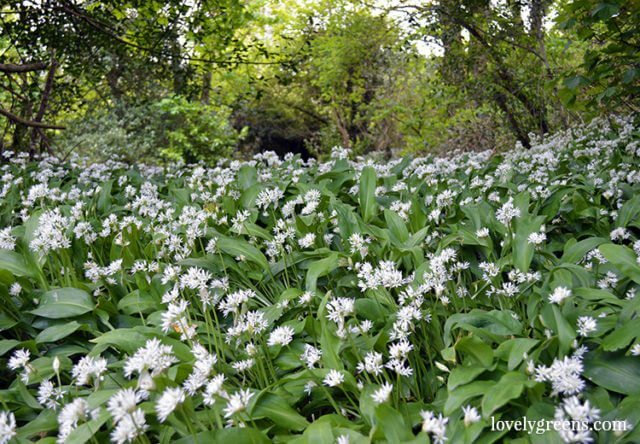 Here on the Isle of Man wild garlic is very easy to find – that’s because of the conditions it grows in. It loves moist, slightly acidic soil, and places with dappled sun. When I do spot it growing in huge swathes it will be in forested areas with either boggy soil or a stream flowing nearby. It also likes to grow in hedgerows, especially those which are made up of stone walls that have been covered up with soil over the years. These may be very specific to the Isle of Man though. The first leaves can emerge in March and the plant will die down completely by early summer. They return again every spring. 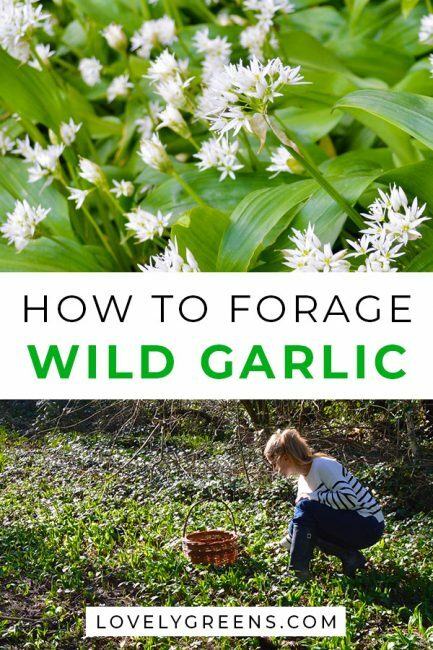 If you’re a beginner forager then you should put wild garlic on your list of wild edibles to try first. They’re easy to identify and have excellent flavor, unlike many edible greens you might find in wild food guides. Oftentimes you’ll smell the plant before you even see it so it’s possible to drive around an area with your window open on a warm spring day to find it. The plant is composed of a tiny bulb that sprouts tender green leaves in early spring and then later on white flowers emerge. You can pick and eat both the leaves and flowers from plants you find growing in the wild but it is not permitted to dig the plant or bulb up unless you find it growing on your own property. 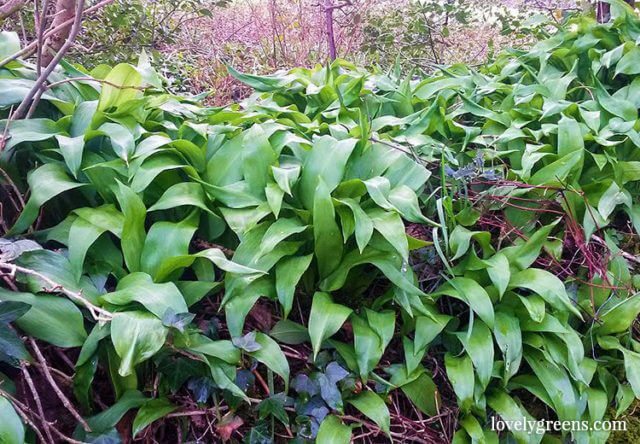 The best time to pick wild garlic is when the leaves are new but before it flowers. You can still pick it afterwards but the leaves aren’t as tender. Pick the flowers to use as garlicky flavored garnishes for salads and other dishes. Wild garlic has very few plant look-alikes. If in doubt, bruise a leaf and smell and if it smells like garlic you’re in. If it doesn’t smell like garlic it may be Lily of the Valley which you want to avoid eating as it’s highly toxic. Forage in areas away from busy roads and above the dog leg-lifting height if along a path. For obvious reasons! 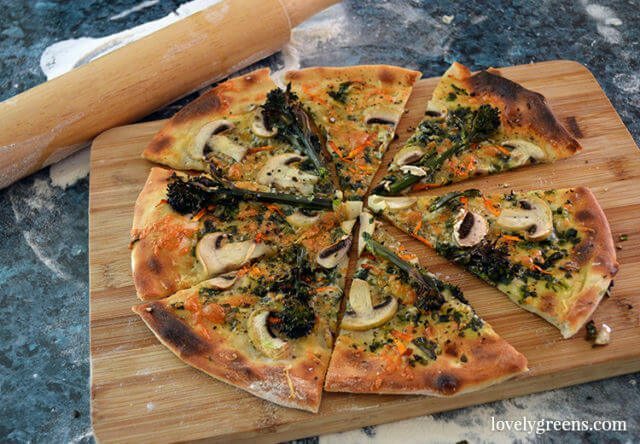 You won’t use the stem in cooking so either pick it off the leaf as you forage (leaving it behind) or cut it off in the kitchen and compost it. Tip: if you plan on using the wild garlic the next day or later, keep the stem on and put the leaves into a jar of water as you would with flowers. The leaves wilt quickly otherwise. The leaves are used like any other green vegetable and can be used in stir-fries, lasagna, or literally any dish that needs greens. It can also be used as a herb and will lightly flavour the dish with a mild garlic taste. 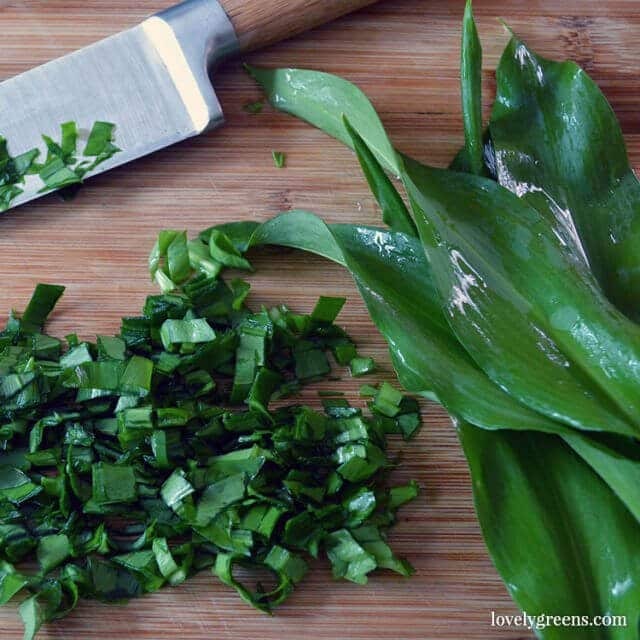 Wild garlic has literally countless uses in the kitchen so feel free to be as creative as you’d like. Get it in while you can though because once the plants die down in late spring it will be another year before you taste it again. If you’re not sure if wild garlic grows in your area, you can also grow it in the garden. 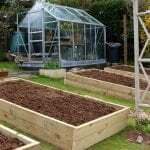 Buy seeds online and sow them indoors from February to April. 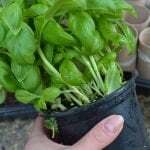 Seedlings will appear in 2-4 weeks and you’ll grow the seedlings on until planting them out in situ. Harden them off first and plant out after the last frost. Alternatively you can broadcast seeds where they are to grow in late spring. Leave the plants to grow the first year and begin harvesting from February the next year. 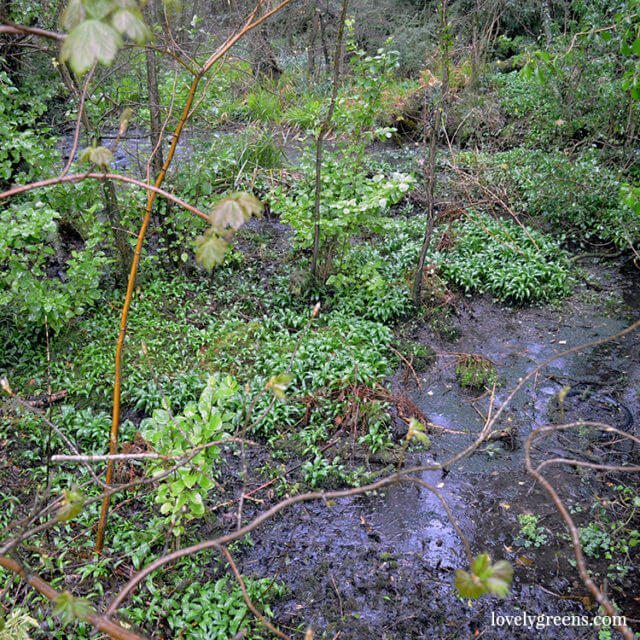 Wild garlic is perennial and after the first sowing they’ll continue re-growing for years. Thank you for the further information on Ramps in Canada Alicia! Unfortunately it’s the same everywhere with wild plants being over-foraged. The rule for all of us is to be responsible, take only the leaves, and leave enough for the plant to continue living. Loved reading your article, Tanya, as usual. I would love to try this. I think my nose and I need to go for a drive down by the river. I live in the USA. I have the Illinois and the Mississippi rivers close by and lots of streams in between. Do you think it grows here? Thanks again for sharing your great knowledge. Oh yes! You’ll find them known as ‘Ramps’ in the USA but I’m not sure if they’ll be in your area. Have a look online to see perhaps. 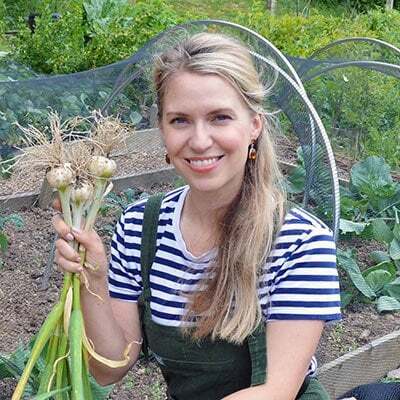 Hi tanya, I always love your posts on wild garlic, I have never come across any but after reading this post I think that I don’t have anywhere near me that is ideal growing conditions which is such a shame as I would love to try some. It seems to like the cooler and wetter north. Still, I’m sure there’s some around London! I’ve seen it growing along a stream in north London for sure. Keep an eye (and a nose) out for it if you’re ever in a boggy woodland setting. They love growing on river/stream banks too.